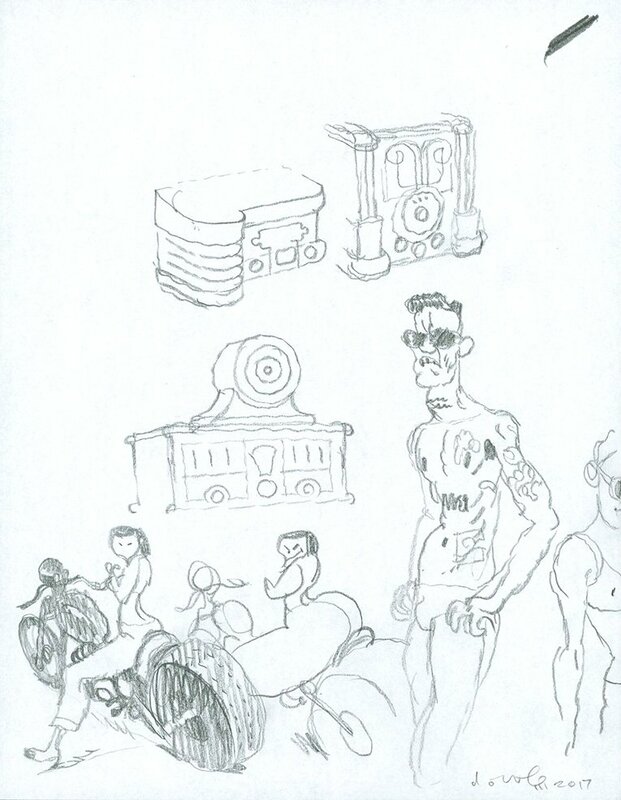 Great page of preliminary sketches by Dave. Pencil on paper, 8 1/2 x 11 inches. Excellent condition. Signed by Cooper.